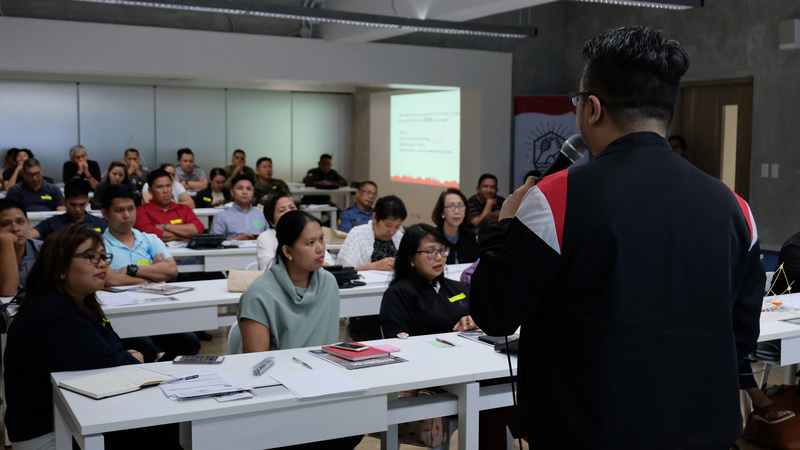 AIM’s Executive Master in Disaster Risk and Crisis Management (EMDRCM) visited Cebu City and Clark, Pampanga in March to conduct disaster risk and crisis management talks. 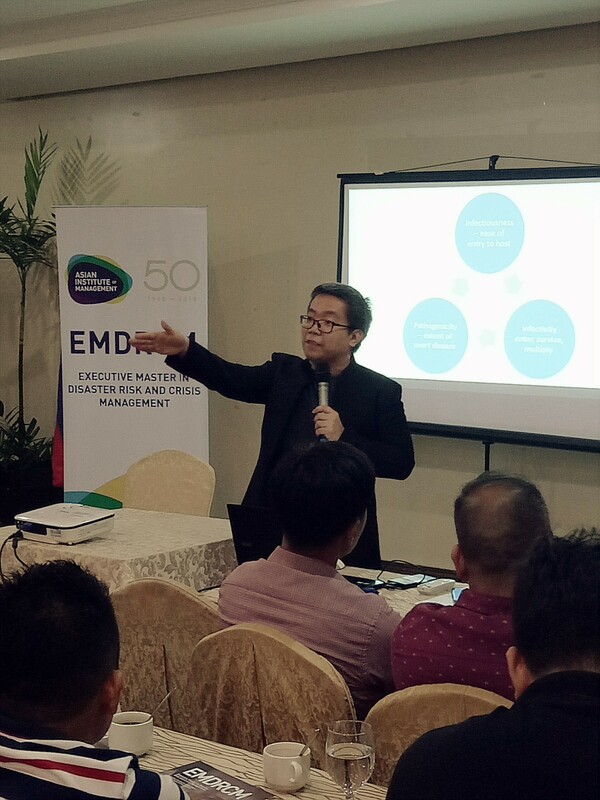 On March 9, the EMDRCM team focused on Biological Disasters and Opportunities for Effective Management with Dr. Bryan Albert Lim and Dr. Kenneth Hartigan-Go as facilitators. Dr. Go is Head of AIM’s Stephen Zuellig School of Development Management. 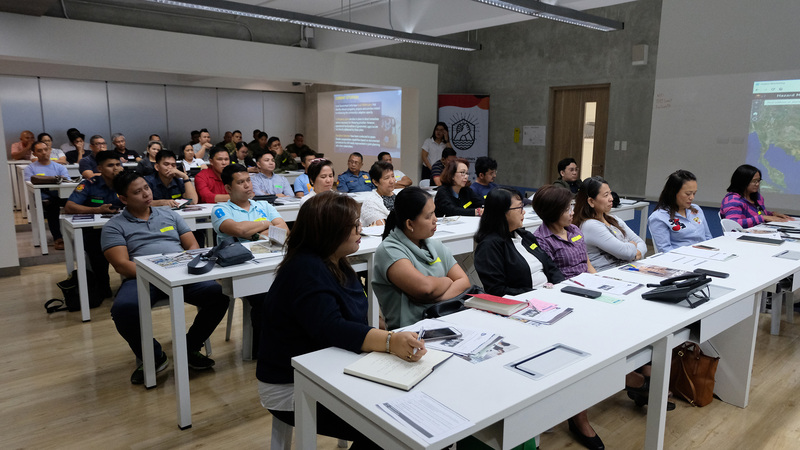 Professionals from the health sector, government agencies and local government units, the academe and educational institutions, and private enterprise came to participate in these timely learning sessions. Dr. Lim, who was named one of the Young Physician Leaders by the IAMP, talked about such topics as the basic epidemic of infectious diseases and its peculiarities; microbes described and explained as ‘serial killers;’ and, the realities of an archipelago in detecting, responding, and containing threats. Dr. Hartigan-Go highlighted the need to professionalize the disaster risk and crisis management discipline to better prepare, respond, recover, and rehabilitate from disasters and crisis such as biological disasters and infectious diseases. Using AIM’s case teaching methodology, he led the participants to an engaging discussion on dealing with a crisis. 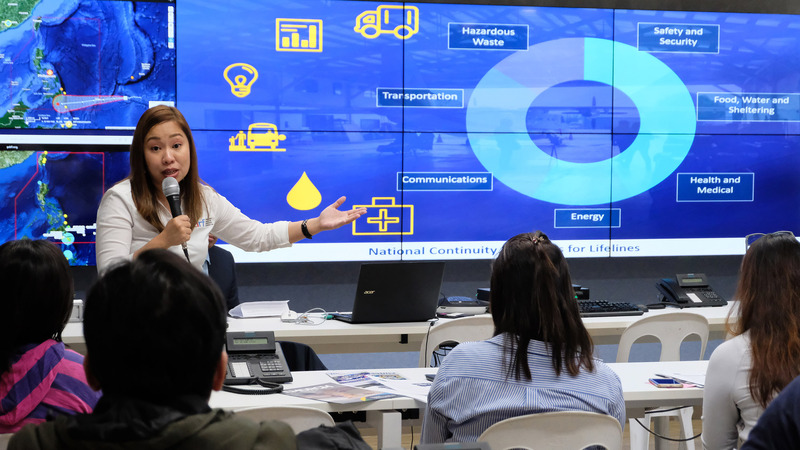 Last March 16, the Disaster Talks and Information Session was held at the Philippine Disaster Resilience Foundation Emergency Operations Center in Clark, Pampanga, a partnership with the Philippine Disaster Resilience Foundation. These sessions, meanwhile, focused on Business Continuity and Organizational Resilience. Participants came from the uniformed services, banks, private companies, non-government agencies, and local government units of Central Luzon. Ms. Florian Rhiza Nery, EnP, CBCP, Business Continuity Program Head of the Philippine Disaster Resilience Foundation (PDRF), gave a presentation on Creating More Disaster-Ready Businesses and Communities. The second session was facilitated by Dr. Kenneth Hartigan-Go, MD, MD(UK). In his talk, Dr. Go emphasized the importance of business continuity plans using an influenza case. He highlighted the necessity of involving both the private and public sectors for these plans to achieve their goals. 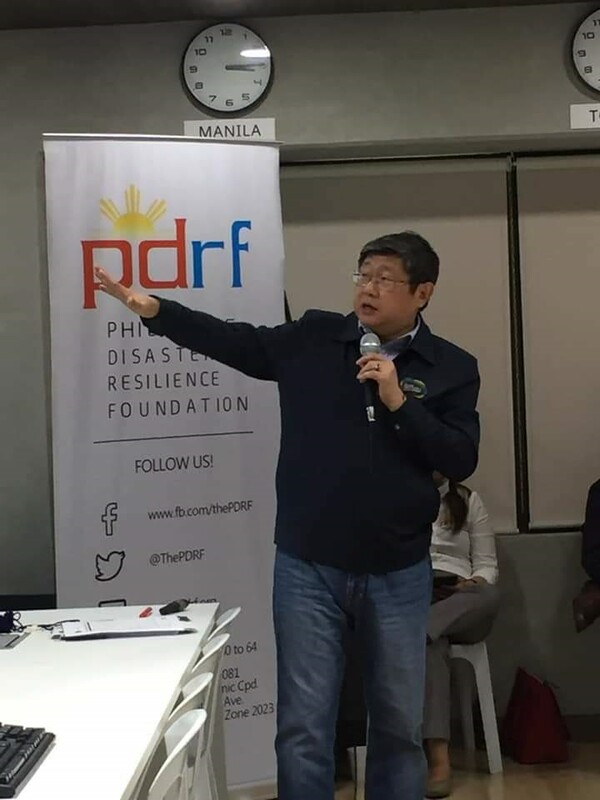 “It all boils down to the need for leaders and decision-makers who are capable of strategic planning and effective implementation to achieve community resilience,” Dr. Go asserted. Mr. Anthony Zuῆiga, the Learning & Development Manager of PRELAB (Preparedness Laboratory), the capacity building arm of the Philippine Disaster Resilience Foundation (PDRF), in the meantime, had a delightful session on Strengthening the Workforce: Disaster Resiliency Planning for Employees and their Families. AIM’s Stephen Zuellig Graduate School of Development Management with the Philippine Disaster Resilience Foundation made this event a strong call to action for the need to work together in building Disaster-Ready and Resilient Philippines.